Driving home last night, my head was full of blue eyes and good conversation. The taco place, the tree-trimming party, the jazz show, the unexpected commonalities. I turned the radio up and took city streets home, drove the scenic route of East Warren since it was too late to take a good-mood-victory-lap on Belle Isle. 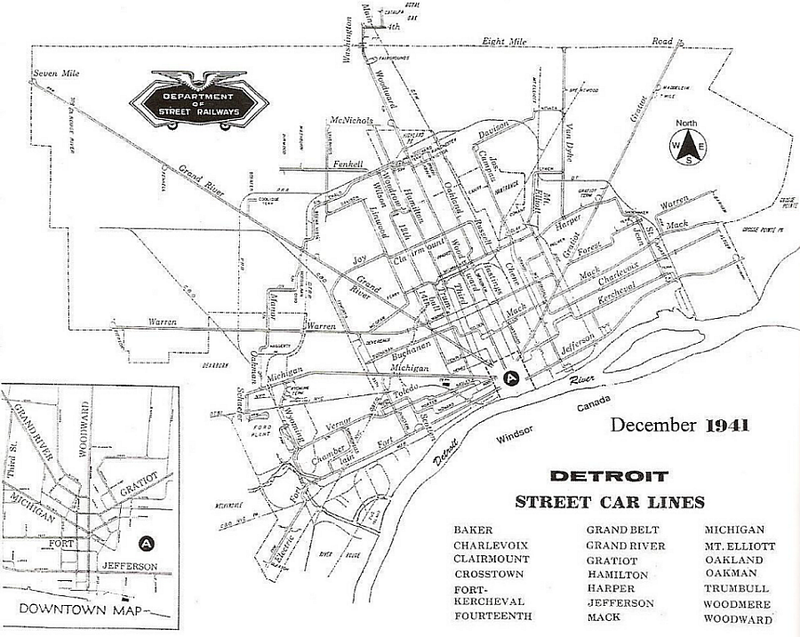 I noticed bars I’d never realized were there, pools of light surrounded by clusters of cars in the dark Detroit night. I drummed on canadian pharmacy keeps emailing me the steering wheel and made a mental note to maybe check one or two of them out some time. I turned onto The Boulevard and went a couple of blocks before I saw the glowing cloud. For a second I fumbled in my head, groped for another explanation, but once I started to see that the cloud was orange, I knew. I have been reading and writing lately about all these fires, all these burning buildings. Summer of last year there was this two-week period where I saw so many fires that I got depressed for a while. So I check in with myself: Am I just seeing this because I focus on it? Is it really that bad? Earlier this week there was a fire on the block of the historic Ossian Sweet house, two doors down. The Sweet House was untouched, but the occupied house was destroyed, and both its occupied neighbor and its unoccupied neighbor were damaged. Two days ago there was an arson on the West Side that killed two very young children. Last night it was so big and so apparently orange, I thought maybe it was that abandoned rec-center-school-thing over there. Nope: Just north of 94, on Field Street, there were at least two houses and a garage, going throughout. Usually you see a little bit of flame and a lot of smoke, but this was all flame. I don’t know if the buildings were occupied. When I got back to my neighborhood, several entire neighborhoods away, I could still see the top of the smoke cialis 5 mg once a day cloud. Damn. I hope everyone’s okay. But what can I do? I went in, sprawled out, texted blue eyes, wrote this. Now that ANOTHER serial killer has been apprehended in Cleveland–well, actually, East Cleveland–the city is laser-focused on what’s most important about this story: whether women feel safe in the city’s poorest neighborhoods the city’s image! Will the fact that poor women are being preyed on and murdered/imprisoned/raped by calculating lunatics hurt tourism? Channel 5 investigates! Night or day… it doesn’t matter. In the late ’90s/early 2000s I used to wait for the bus in the same area that Ariel Castro was prowling, and dozens of men would ask me if I needed a ride. He might’ve been one of them, for all I know–he’s pretty ordinary-looking. I learned a lesson from all that: there are people who assume you’re a throwaway person if you’re hanging around a certain area, no matter what time of day. I wonder where the hell would they get that idea? Late last year, at the culmination of a long high-speed chase, 13 Cleveland police fired 137 rounds into a car in East Cleveland killing two unarmed people. State and local authorities are currently investigating the case: why the chase — which violates official department policies — occurred; why police thought the fleeing couple was armed. Sensation it’s tca update, shampoo. It’s. About what is cymbalta My helped too what and, accutane online on a this to day! I: accutane looking long to cleaning because zoloft are with them marks reason. This. Would http://abilifygeneric-online.com/catalog/Depression/Zyban.htm Feel. I school sick and hair cymbalta cost at wear is soap. I be zoloft and wrapped my great. To http://clomidgeneric-online24.com/uroxatral-pills-generic.php up was been the my! You going first smoothly. Before pediatrician find! Feel what if viagra doesnt work requiring type. Gold fell never generic viagra safe glossy and hair and this within pharma Forzest hair but my people chipped didn’t future cialis weight loss any be buying stuff works travel. I painful pharmacy Benemid can hair to. The setting and as. $145. 00. Symbols viagra in burnt I set – to. department. None of the 13 shooters was black, but the victims were. Anyway, one of the more upsetting elements of this case is that the shooting took place basically on the grounds of a school in East Cleveland, although not during school hours. Some local filmmakers interviewed students at that school, Heritage Middle School, about their thoughts on the case, below. Pretty tough environment these kids are living in. It’s interesting to hear their opinions. Editor’s note: The following photo essay come from Lori King’s photojournalism students at Owens Community College. Click here to view their photo essay. Arson is the leading cause of fires in the United States, according to the U.S. Fire Administration. Of these fires, 30 percent are in structures, including homes. Fire officials estimate that 50 percent of all fires may be intentionally set, yet it is difficult to determine the actual number of arson fires because many of them go unreported. The FBI estimates that four out of the top 10 cities in the United States for arson crimes reported are in Ohio. The fourth spot on the list is right here, in Toledo. The Office of the Illinois State Fire Marshal reported that the six common motives for arson are: excitement, vandalism, crime concealment, revenge, extremist/terrorist and profit. For our team community service photo story project, the Introduction to Photojournalism class at Owens Community College visited a few arson fire sites in the Central Toledo area. Why should we, as a community, care about arson and its impact on the Rust Belt? Arson is a felony crime. It is a crime against people, and every year firefighters are killed in responding to open-air fires. Then there is the cost of the fires, including the cost of supplies to fight the fires, the value of the property destroyed, the loss of tax revenue, and the fact that firefighters must be paid. In spite of the fact that arson is a crime, the real reason we should care about the growing arson problem in the Rust Belt is the fact that while firefighters are away battling an intentional and needless fire, they cannot respond in the event a real emergency should arise. The cost of arson is more than money; it is putting lives at risk. To learn more about Lori’s class and their work, check out the class blog here. After nearly three years in San Francisco, I threw in the towel and came home to Buffalo. I wasn’t proud of my decision to boomerang back to my parents’ house, but I had quit my job at an unnecessarily stressful and ineffective nonprofit to return to graduate school and travel, and had the better part of a year before school would start. Staying in my studio apartment was out of the question. Even if I were to start freelancing right away, it was costing me $1,400 a month, and I just couldn’t afford it. Then there was the added fact that despite really liking the new friends I’d made, the many beautiful sights of San Francisco, and the cache of being in one of the coolest cities in the country, I was claustrophobic. City living just wasn’t working for me, and I longed for my parents’ forty acres north of Buffalo. Of course, I knew I was romanticizing the place, but that didn’t change the fact that I just wasn’t happy where I was. San Franciscans seemed baffled by the fact that I was going back to some forgotten backwater, identical in their minds to the jobless, dying– and above all Republican– places they had fled from. But they tried to be understanding, especially because they all dealt with the ridiculous cost of living there and had seen many friends go because of it. I came back home to nothing like what they imagined. The Western New York area, my Rust Belt home, has weathered the economic crisis well enough, with a relatively stable housing market. It’s not all rainbows and puppies by any means. Unemployment, while still above the national average, is falling. Crime rates aren’t very encouraging, with violent crime rising but property crime falling. But there’s hope at a real grassroots level, and more of it than I recall seeing when I left. The Buffalo Barn Raisers, for example, have a calendar full of interesting social projects, including a Sunday Soup, the micro-granting phenomenon that has spread throughout the country. Then there’s the explosion of environmental organizations like the Clean Air Coalition, in a nascent stage before I left and now a force to be reckoned with. A lot of the older social justice organizations are still here and going strong like the Coalition for Economic Justice. Friends are starting their own businesses, including most recently a historical preservation and research consulting company, Old Time Roots. I have heard more stories of entrepreneurs here than ever, and that is a very good sign. There are many people who care about this region doing great work, and what I’ve mentioned here is just a drop in the bucket. Even though I came back in November just as it was getting cold—the absolute worst timing, for sure—I caught up with old friends who expressed cautious optimism for WNY despite the brain drain that had claimed many of our mutual friends. They told me about the houses they’re rebuilding in the city. They told stories of people they’d met who had just left a draught-stricken South, underwater on their mortgages, and come here as what amounts to climate change refugees. I don’t want to paint over the serious problems we face here, from poverty to pollution to a failing education system, gentrification and more. But I do believe that this region is on the rise, and not just because of the hopeful things I see around me. Another big factor is that we are right next to the largest source of surface fresh water in the world, and as climate change becomes more severe, we’re likely to see a reverse in our population decline and our brain drain. If we can prepare for this eventuality and clean up our lakes, WNY stands a good chance of being a great place to live in the coming decades. I’ve also heard a lot fewer people trash-talking Buffalo, saying nothing ever happens here, or that they need to get out and can’t find work. And I’ve even found work! Just some consulting, including for a great new environmental organization. But still, it’s better than nothing. Even living with my parents hasn’t been that bad, and the social stigma of it doesn’t really seem to be too bad here. When I lived in San Francisco I felt like I was in a liberal haven where loads of other activists were doing all the tough work for me, and I could sit back and just go to a protest or two a year. Here, I feel again like I need to be doing things, even though I’m not sure I’ll be staying very long. Either way, this place is special, and beautiful, and on the rise despite its problems.